No local pickups. Ground shipping and sales to North America only (most of USA, Canada, Mexico). Shipping and handling costs are non refundable. We have a no questions asked return policy for 45 days on our ultra-lightweight racing batteries. Because each battery is built and tested to order, there is a 5% restocking fee, as long as it's shipped back within 45 days of purchase in undamaged condition. After 45 days there shall be no returns, or refunds. If you wish to upgrade to a bigger model within 45 days of purchase, just pay the cost difference. After 45 days, contact us if you wish to upgrade. All other products (chargers, accessories, etc) carry a 7 day return policy with no restocking fee. All batteries are manufactured upon order, and shipped 3 to 10 days from date of purchase. 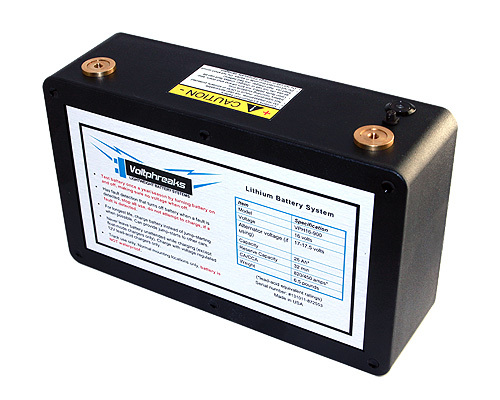 All racing batteries carry a 2 year warranty, abuse voids warranty. Battery will either be repaired or replaced for 2 years after purchase. Any paid service or update will result in a new 1 year warranty if out of warranty. Everything else carries a 30 day warranty.